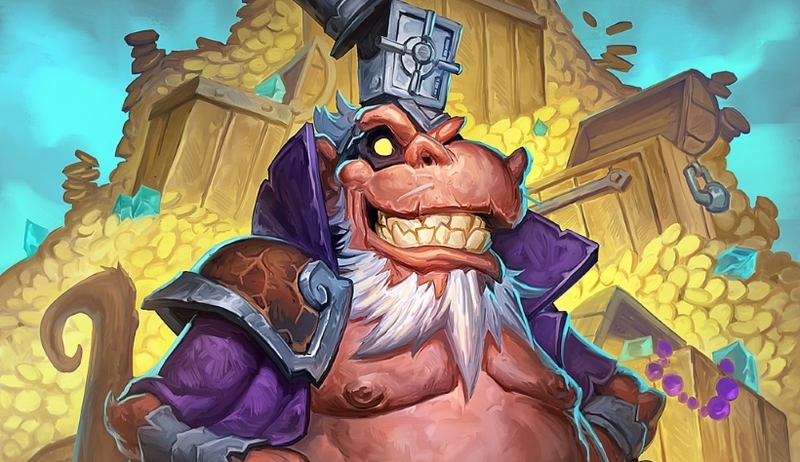 Our Togwaggle Rogue deck list guide features the best Rise of Shadows deck list for Season 61 of Hearthstone (April 2019). Our Togwaggle Rogue guide will be updated with Mulligan advice, card combos and strategy tips. Togwaggle Rogue is a Hearthstone deck that's got a little bit of aggro and a little bit of tempo to it, and is empowered to greater heights by the addition of signature card Heistbaron Togwaggle. In the first edition of our guide to playing this new archetype to hit Hearthstone, we've got a snapshot of a deck list created by one of the game's pros for the very start of the new expansion meta. If it proves popular, we'll expand on all areas of this guide considerably. For now though, we've got a breakdown of all the core combos that exist in the deck, with Mulligan and detailed strategy advice to be added in with a future update. Enjoy the new expansion, and don't forget to let us know how you're getting on with this fun new deck in the comments. - Southsea Deckhand can only attack on the same turn he's played if you've at least one point of durability remaining on the weapon that's in your hand. Think carefully before spending this last charge. - Whenever you take a swing with your weapon, Hench-Clan Thug will gain an extra +1 / +1 of stats, and can quickly become a real problem for your opponent to deal with. - Dread Corsair costs one less mana for each point of attack on your current weapon. Don't forget that Deadly Poison can be used to boost up even your basic dagger. - Further weapon buffs come in the form of Captain Greenskin, who'll buff your blade to the tune of an extra +1 / +1 of stats when plonked onto the board. - The next spell you cast costs three mana less if you pop Preparation first. This has core synergy with Myra's Unstable Element in this deck. Just leave plenty of space in your hand for the flood of cards, and remember that you'll enter the fatigue state once your deck's been emptied in this fashion. - To get the full effect of Eviscerate, you must play another card first on the same turn. The same pre-requisite is in place for the bonus effects of EVIL Miscreant and Raiding Party. - Edwin VanCleef grows in size by +2 / +2 stats for each card you played earlier on in the same turn.